The archaeological record is filled with hidden messages from the past. Often, these secret texts hide in plain sight. They are buried under monuments and secreted away in machinery. Many times, they exist concealed in later works, remaining only as traces invisible to the naked eye. Modern technology like X-rays, CT scans, multispectral imaging, and robots are bringing these long-lost works to light. 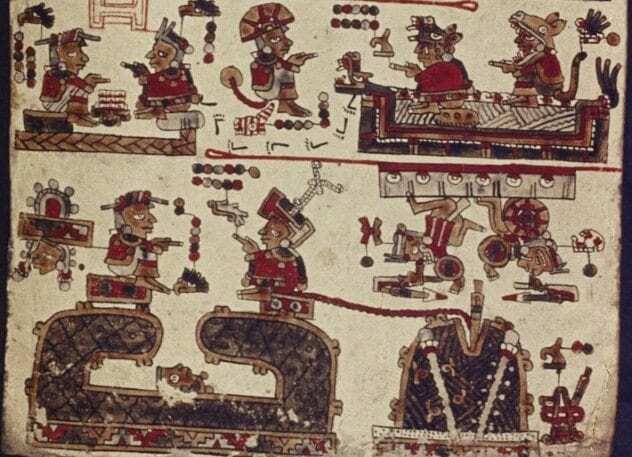 For decades, researchers were convinced that the Codex Selden contained hidden messages beneath its surface. Lost for nearly 500 years under a layer of gypsum and chalk, this precolonial Mexican manuscript is made of leather strips covered with a gesso, a plaster-like material. In 2016, hyperspectral imaging finally allowed researchers to peer within the Mixtec manuscript’s surface, revealing hidden text and images beneath. The technique works by taking high-resolution images across an entire spectrum of wavelengths. The process of scanning the whole manuscript is ongoing. Until it is completed, researchers are reluctant to comment on the hidden content. What little they have revealed is tantalizing. New characters and text have recently emerged. The hidden text reads sideways across the page, rather than the bottom-to-top orientation of the manuscript’s surface. Researchers report that there are many more discoveries to be made within the pages of the Codex Selden. 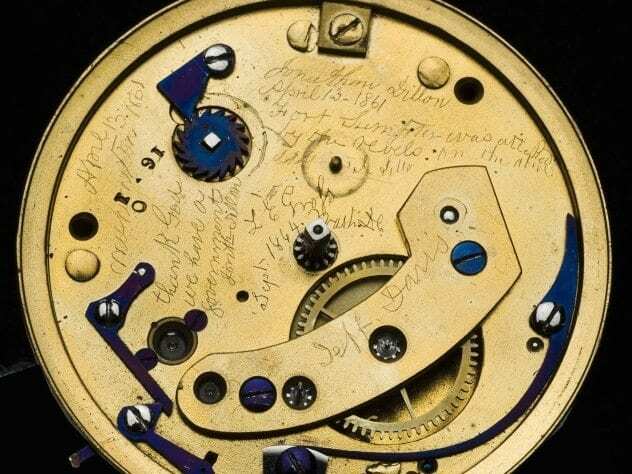 On April 13, 1861, Jonathan Dillon, an Irish immigrant and watchmaker, carved a hidden message in Abraham Lincoln’s pocket watch. Employed by M.W. Galt and Co. jewelers in Washington, DC, Dillon was repairing the president’s watch the day Confederate forces fired on Fort Sumter, which led to the US Civil War. The message would remain hidden until the Smithsonian opened the timepiece in 2009. Dillon’s inscription read: “The first gun is fired. Slavery is dead. Thank God we have a president who at least will try.” Dillon and the president never met, and Lincoln never saw the message hidden within his timepiece. In the 1850s, Lincoln purchased the gold pocket watch from George Chatterton, a jeweler in Springfield, Illinois. Lincoln tended away from the ostentatious, but the gold watch was a sign of his prominent law career. In 1958, the 16th president’s great-grandson, Lincoln Isham, donated the watch to the Smithsonian. In 2014, archaeologists uncovered a small amulet during an excavation of Jerash in Jordan. The site had been home to Greeks, Romans, and then Arabs. However, a devastating earthquake in AD 749 annihilated the settlement. The amulet was a silver scroll measuring 5 centimeters (2 in) long. Corrosion on the exterior belied a delicately coiled silver plate beaten to just .01 centimeters thick. After polishing, the researchers realized there was text. As desperate as they were to determine the message, the plate was too fragile to unroll. 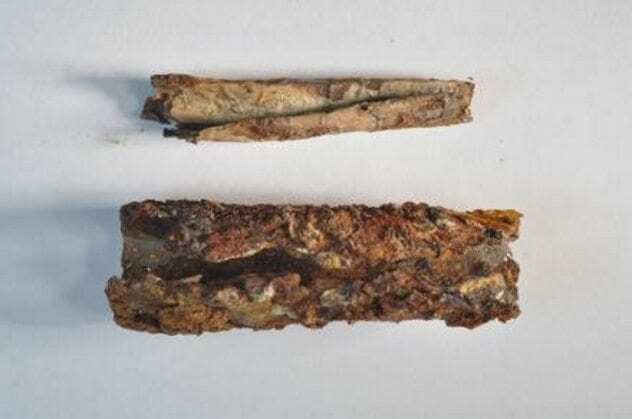 In 2015, researchers used CT scanning technology to virtually unroll the scroll. They found 17 lines of text, each containing five letters. The first line contains spells written in Greek. The subsequent lines are completely undecipherable. Linguists believe they are composed in “pseudo-Arabic.” Writing in “secret, magical languages” was common at the time. Given the low literacy rate, even nonsense words could be seen as magic. In 2000, archaeologists excavating Novgorod in Russia discovered the earliest known book made by the Rus’ people. 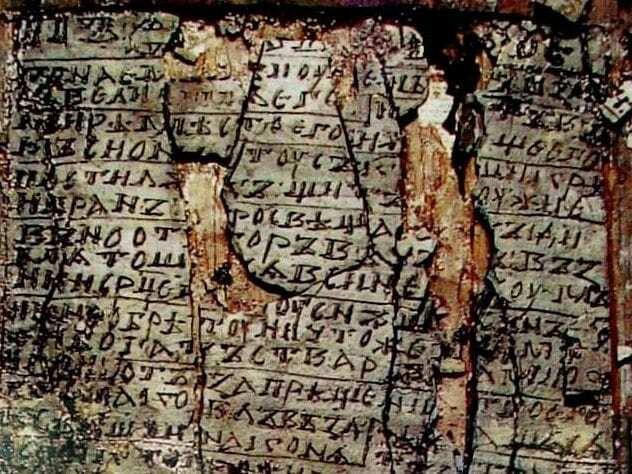 Made of three waxed wooden tablets, the Novgorod Codex contains so much hidden text that is has been labeled a “hyper-palimpsest.” (A palimpsest is a manuscript that has been scraped clean for reuse.) Dated to the 11th century, the Cyrillic text preserved two Psalms. When the wax was removed for conservation, the restorers realized that the wood had retained traces of earlier text, including a number of previously unknown Slavonic compositions of native origin. Recreating these hidden texts is remarkably difficult. Often, the text’s faint traces are indistinguishable from cracks and other irregularities in the wood. The Codex was also reused multiple times, creating layer upon layer of hidden text. The identical handwriting between layers compounds the difficulty. This is the first hyper-palimpsest, and there are no standard techniques for deciphering one . . . yet. The Novgorod Codex may contain dozens—or even hundreds—of hidden text layers. In 2016, historians reconstructed a hidden message under the base of Rome’s Mussolini Obelisk. 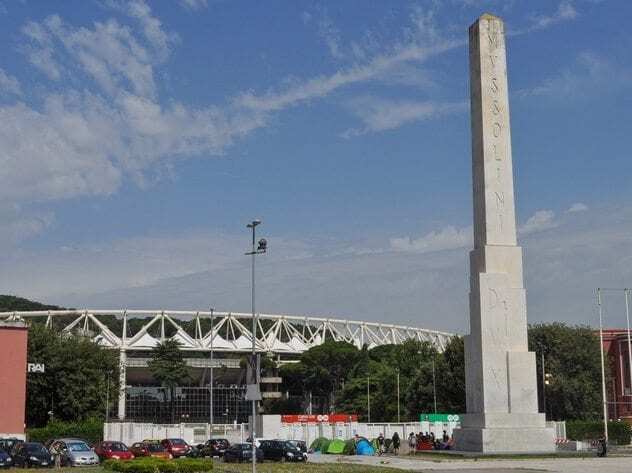 The parchment text, which chronicles fascism’s rise to power and Mussolini’s feats, was buried when the obelisk was erected in 1932. It was largely forgotten over the following decades. Despite still being buried under a 300-ton monument, the Codex Fori Mussolini has been reconstructed from three obscure sources from libraries around Rome. According to researchers, the text was intended for people in the remote future. Classic scholar Aurelio Giuseppe is credited with composing the three-part, 1,200-word eulogy. The text presents Mussolini as a new Roman emperor. The parchment is accompanied by a medal depicting Mussolini wearing a lion skin. Latin was chosen to draw a link between the rise of fascism and the Roman Empire. Ironically, the text can only be unearthed by toppling the obelisk, which would be a symbolic fall of fascism. 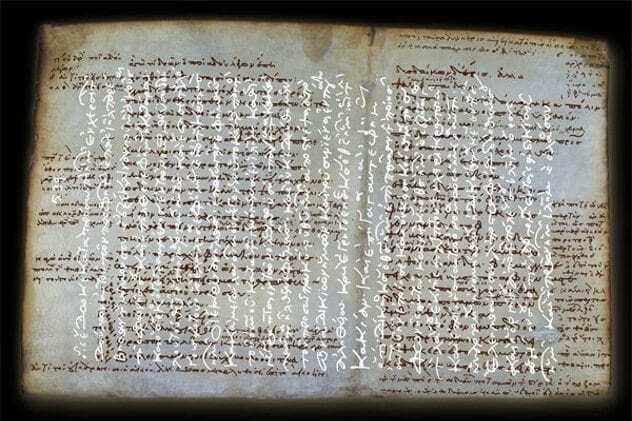 In 1861, researchers first detected hidden text in the Codex Zacynthius. The Codex is a palimpsest; the cost of writing materials made recycling manuscripts commonplace. The Codex Zacynthius originally contained a seventh-century account of the Gospel of Luke. In the 13th century, the early text was removed to make way for an Evangeliarium, a collection of Gospel passages. The Codex Zachynthius predates the development of the New Testament, which was crystallized in the 16th-century Textus Receptus. The work’s name derives from the Greek island of Zakynthos, where it was discovered. Since 1984, Cambridge University has housed the mysterious work. In 2014, they raised £1.1 million to purchase it outright. Their goal is to use multispectral analysis to analyze the hidden text. Experts believe there are many more secrets to be discovered in the Codex’s 176 vellum leaves. In 2011, archaeologists used the “Djedi” robot to unveil hidden messages in the Great Pyramid of Giza that hadn’t been seen in 4,500 years. The robot returned with images of previously unknown red hieroglyphics. Researchers believe these hidden messages may shed light on the Great Pyramid’s mysterious narrow shafts. First discovered in 1872, two of the shafts link the King’s Chamber to the open air. However, the others lead out of the Queen’s Chamber and disappear into the pyramid’s depths. Rudolf Gantenbrink was the first to explore the shafts with robots in 1993. Nine years later, a second team returned with robots to explore the southern shafts. Both expeditions ended when the robot reached mysterious slabs secured with copper pins. The most recent expedition allowed the robot to use a “micro snake” camera, which penetrated a small hole in the slab, providing a glimpse of the hidden chamber beyond. 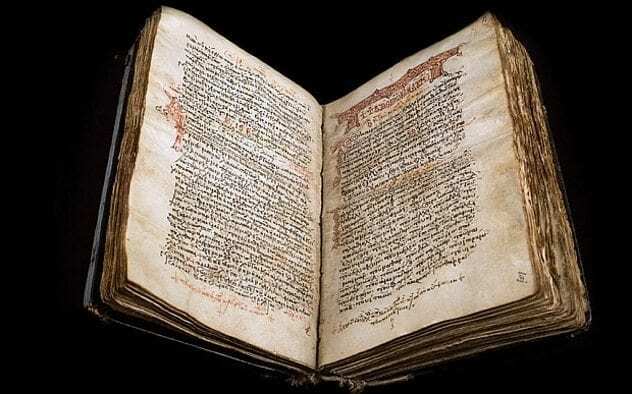 A team of researchers from the Universities of Bologna and Gottingen discovered the hidden text of a fifth-century-BC Greek drama beneath a 13th-century-AD prophetic book of the Old Testament. The early work is attributed to Euripides. One of Athens’s foremost dramatists, Euripides completed over 92 plays in his life, but only 19 have survived. His work became a cornerstone of education during the Hellenistic age, and his influence on modern drama is immense. The hidden text was uncovered via multispectral imaging in 2013. The ancient text had been washed off and rewritten over, making it a palimpsest. The manuscript contains not only Euripides’s work, but it is also full of ancient annotations. The text is now housed at the Greek Orthodox Patriarchate’s library in Jerusalem. The Palamedes Project is currently working to create a critical edition of the hidden ancient manuscript, which contains unknown Greek texts. 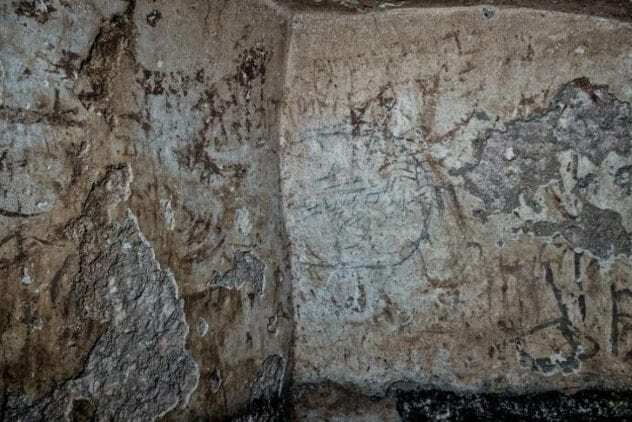 In 2015, construction workers revealed ancient hidden graffiti from the Second Temple era in Jerusalem. The writing was discovered in a ritual bath (or mikvah) in a cave located under a school. The hidden inscriptions were written in Aramaic. Despite this being the period’s lingua franca, Aramaic inscriptions from the Second Temple era are rare. The graffiti message is written in mud and ash. The inscriptions are very hard to read. Some suspect they are names. Experts have pointed out what appears to be the name “Cohen” and the word avad, meaning “served.” In addition to the writing, there are also dozens of depictions of trees, a boat, and what may be a menorah. Mikvahs were crucial to Jewish culture. According to tradition, the waters couldn’t touch human hands prior to use and needed to be derived from a natural source, like a spring or rainwater. With the emergence of the printing press in the 15th century, handwritten manuscripts became passe. Bookbinders cut up or recycled these earlier tomes. They often used the ancient paper to reinforce the spines and covers of the more stylish printed books. 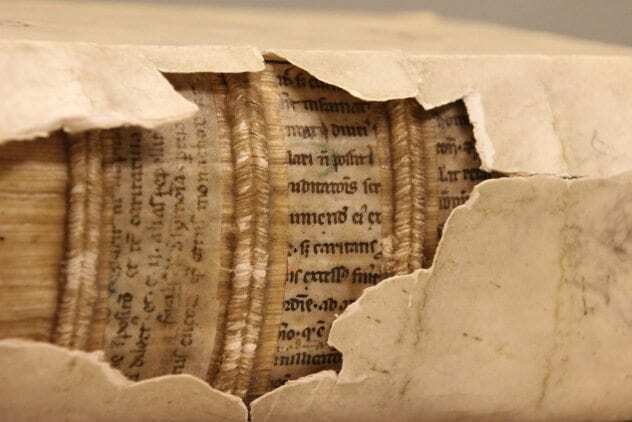 Macro X-ray fluorescent spectrometry has allowed researchers glimpses of these medieval text fragments without having to destroy the bookbinding. It not only makes the hidden messages visible; it makes them legible. Many of the hidden fragments discovered so far date to the 14th and 15th centuries. However, researchers hold out hope for a medieval Bible or perhaps Carolingian material from the ninth century or earlier. So far, the oldest text discovered dates to the 12th century. It contains an excerpt from an even earlier work of Bede, an eighth-century scholar and monk. In one case, they have found enough contiguous material to create three full manuscript pages. Dubbed “the Indiana Jones of folk music” by TimeOut.com, Geordie McElroy has hunted spell songs, incantations, and arcane melodies for the Smithsonian, Sony Music Group, and private collectors. A leading authority on occult music, he is also the singer of the LA-based band Blackwater Jukebox.